Dusk and the Dallas skyline. Dallas lands the No. 5 spot on Forbes' recently released list of Best Cities for Future Job Growth. Considering demographic and economic trends, the list ranked cities based on their projected annual job growth rate. The forecasted rate for Dallas is 3.8%. Texas cities claim half of the rankings on this list. An attractive destination for newly retired CEOs and entrepreneurs, the southwestern Florida city of Naples took the No. 1 spot. This isn't the first time Dallas has received a nod from the respected, widely read publication. Earlier this year, Forbes ranked Dallas No. 4 on its list of America's Fastest Growing Cities based on population growth, year-over-year job growth and four other metrics. 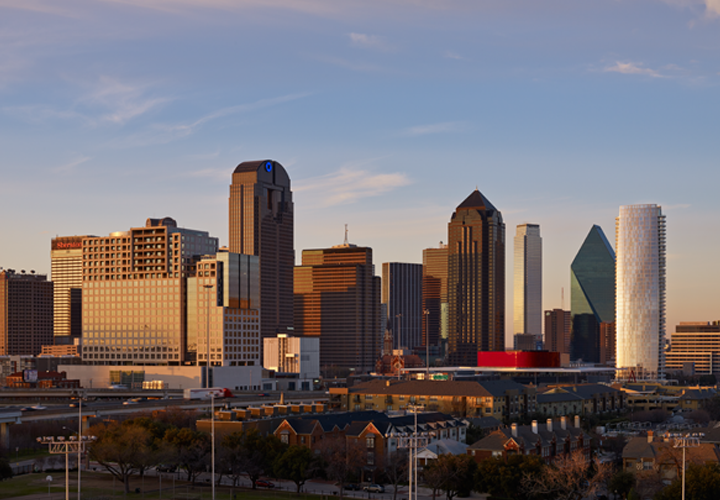 With corporate migration, a surge of job creation, a healthy real estate market and an advantageous business climate, it's an extraordinary time to live in Dallas and the greater metroplex.